What we believe is the heart and core of what we teach. It is worthless to believe in something if it is not true. God has made it clear that His Word is the foundation of all Truth. Therefore, we teach what comes from His Word. – God is the Creator and Ruler of the universe. He has eternally existed in three persons: the Father, the Son, and Holy Spirit. These three are co-equal and are one God. – He is all powerful, all knowing, all loving, and all wise. He reigns with providential care over the universe and the flow of human history goes according to His purposes and plan. – Jesus Christ is the Son of God. He is co-equal with the Father. Jesus has eternally existed and became man at His incarnation. He lived a sinless human life and offered himself as the perfect sacrifice for the sins of all people by dying on a cross. 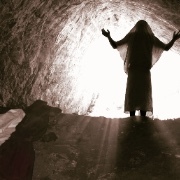 He bodily arose from the dead after three days to demonstrate His power over sin and death. He ascended to Heaven’s glory and will return again someday to earth to reign as King of Kings and Lord of Lords. – He is the third person of the Trinity. He guides men into all truth, exalts Christ, convicts of sin, righteousness and judgment, cultivates Christian character, comforts believers, bestows spiritual gifts by which believers serve God and seals the believer unto the day of final redemption. His presence in the lives of believers is the assurance of God to bring us into the fullness of the stature of Christ. – The Bible is God’s Word to us. It was written by human authors, under the supernatural guidance of the Holy Spirit. It is the supreme source of truth for Christian beliefs and living. Because it is inspired by God, it has salvation for its end and is truth without any mixture of error. – People are made in the image of God and are the supreme object of God’s creation. All of us are marred by an attitude of disobedience toward God called sin. Sin separates people from God and causes many problems in life. – Salvation is God’s free gift to us, but we must accept it. We can never make up for our sin by self-improvement or good works. Only by trusting Jesus Christ as God’s offer of forgiveness can anyone be saved from sin’s penalty. When we turn from our self-ruled life and turn to Jesus in faith we are saved. Eternal life begins the moment one received Jesus Christ into his life by faith. – Because God gives us eternal life through Jesus Christ, the true believer is secure in that salvation for eternity. If you have been genuinely saved, you cannot “lose ” your salvation. Salvation is maintained by the grace and power of God, not by the self-effort of the Christian. It is the grace and keeping power of God that gives us this security. – People were created to exist forever. We will either exist eternally separated from God by sin or eternally with God through forgiveness and salvation. To be eternally separate from God is Hell. To be eternally in union with Him is eternal life. Heaven and Hell are real places of eternal existence. – We believe that scriptural baptism must be: (1) by being completely immersed under the water and (2) after salvation. Jesus was immersed and all baptisms in the New Testament were by immersion. These two facts sets the standard for baptism today. Baptism has no saving power but is the first act of obedience symbolizing (1) the believer’s faith in the death, burial, and resurrection of Jesus, (2) the believer’s death to sin and resurrection to walk anew in Christ, and (3) the Christian’s belief that he will die, be buried, and that Jesus will resurrect him from the dead. – The Lord’s Supper is a symbolic act of obedience whereby believers remember the death of the Lord Jesus and anticipate His second coming. The bread is symbolic of His body and the juice represents His blood. – It is the duty of every born again follower of Jesus Christ and of every church to endeavor to make disciples of all men everywhere. It is the command of Christ for every believer to seek constantly to win the lost to Christ by personal effort and by all other methods in harmony with the gospel of Christ. – A New Testament church of the Lord Jesus Christ is a local body of baptized believers who are associated by their common faith and fellowship with Jesus. A local church is to observe the two ordinances: (1) baptism and (2) the Lord’s Supper. The church should exercise their God-given gifts and extend the gospel to the ends of the earth. The church is an autonomous body serving under the Lordship of Christ. All members are equally responsible as they serve with the scriptural officers of the church, the pastors and deacons. – To live in harmony with other believers is clearly the teaching of the New Testament. It is the responsibility of each believer to endeavor to live in fellowship with each member of the congregation. It is further the responsibility of each member to bring all gossiping and backbiting to an end.